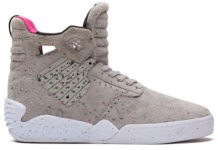 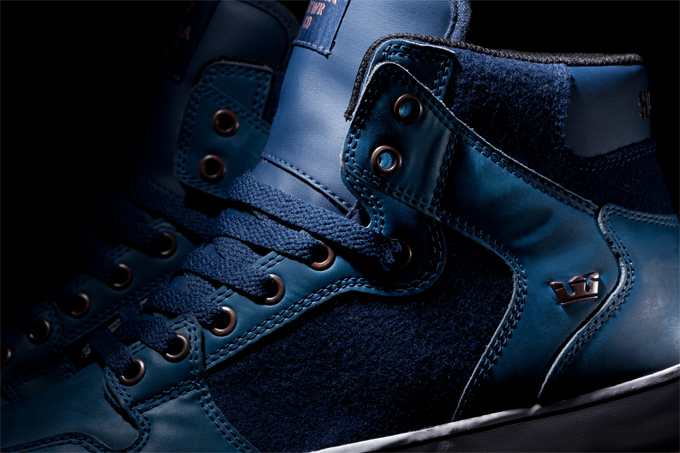 Supra presents the “Aries” edition of the high-top Vaider. 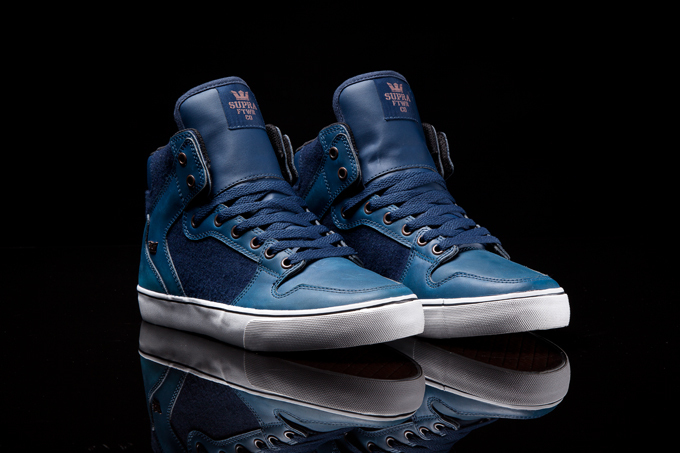 The Vaider high top in the Aries pack is comprised of an exceptional combination of royal blue leather and navy blue wool. 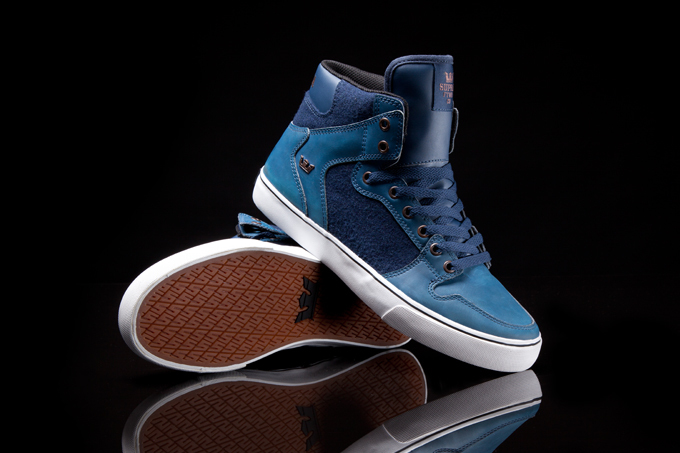 It has bronze accents, bronze metal eyelets, padded black mesh lining, gum vulcanized sole, and white foxing with a black pinstripe. 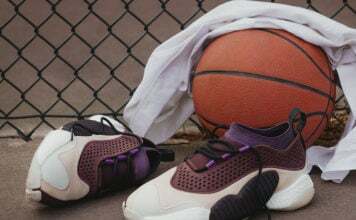 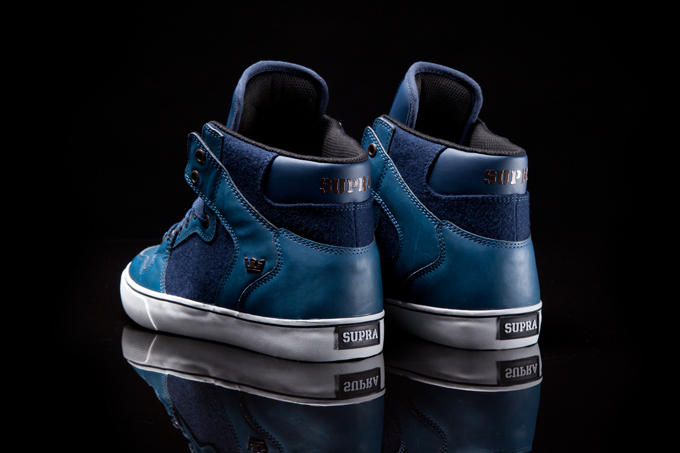 The Vaider “Aries” is available at fine SUPRA retailers worldwide, and suprafootwear.com.